I have my microhandles on my HQ16 and I am working through some minor issues. 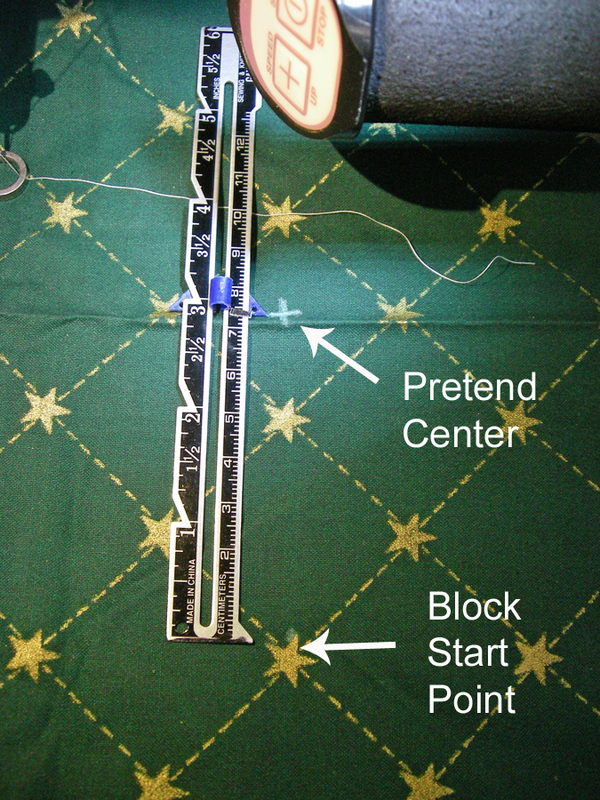 However, I'm still able to practice my freehand quilting and computerized quilting in preparation of loading the Hunter's Star Quilt. 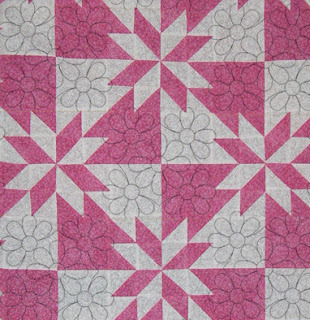 However, I just realized that I did not resize the daisy block pattern I wanted to use. It was originally a 10" design and the Hunter's star blocks ended up 8" square. I wanted the daisy block design to fit in the checkerboard squares area like this. With the center of the center daisy resting directly over the four corners, I was concerned with placing the block just right. I won't get the real turnout until I complete a real block on the quilt but, I wanted to try out a theory I had. 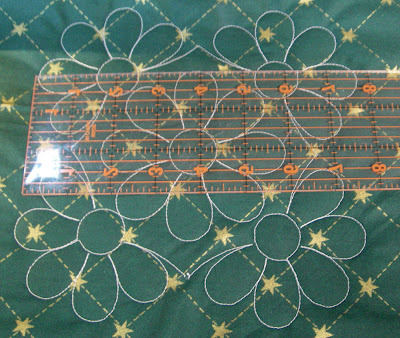 Since the start point of the design is directly under the center of the centered daisy, I thought I would measure the start point distance from the center and use that to place the quilt design each time. First I resized the quilt design to be a 7.8" square design, I wanted it just a little bit smaller than the 8" block. 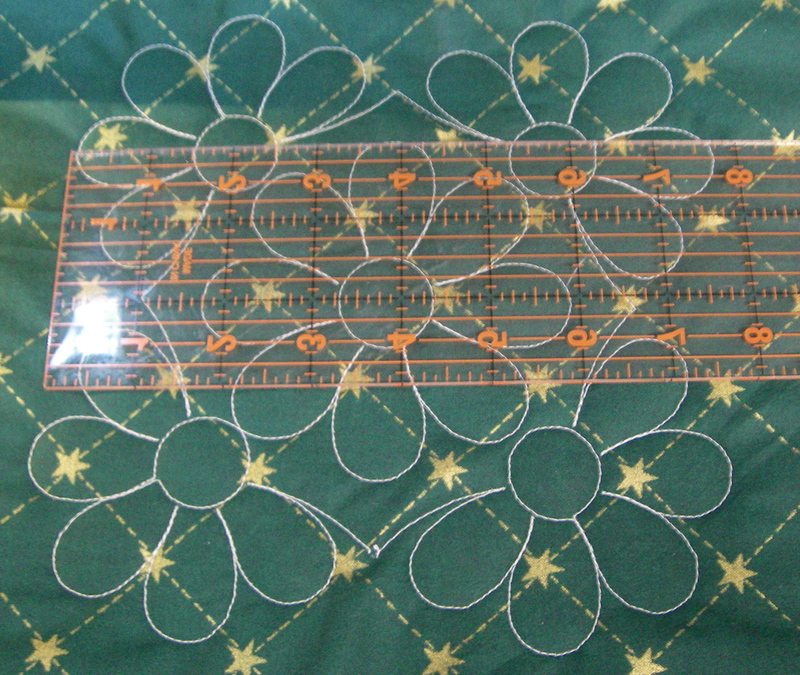 Here's the first stitch-out using the resized design. Don't mind the ripples, when I'm practicing, I'm not picky about fabric placement. I measured the distance from the start point to the center of the center daisy. This is where the 4 corners of the pink/white blocks will rest,. For practice placement, I drew a pretend center and then measured down the proper distance to where the quilt block should begin, I placed a dot there. 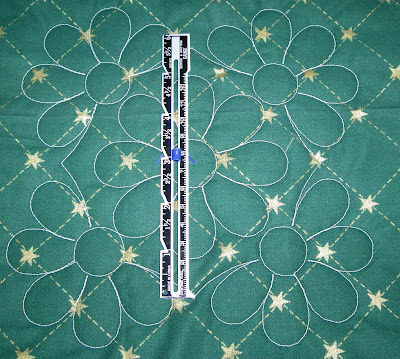 Now, when I load the quilt design, I will make sure the start point matched the dot I drew. Here's the quilted design. It looks like it will work just how I wanted. 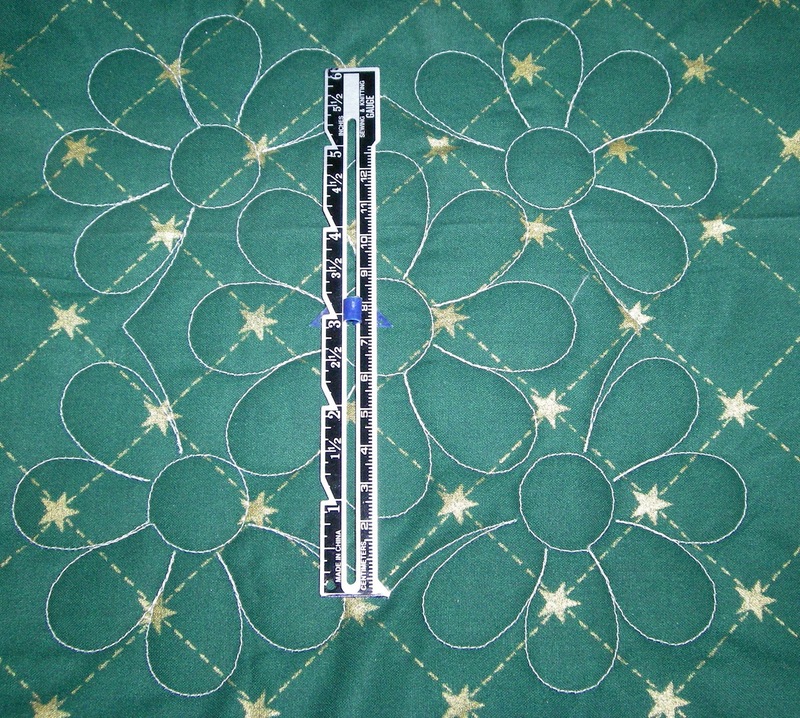 I have to remember it will not always be perfectly centered but it will be close each time if I measure carefully. 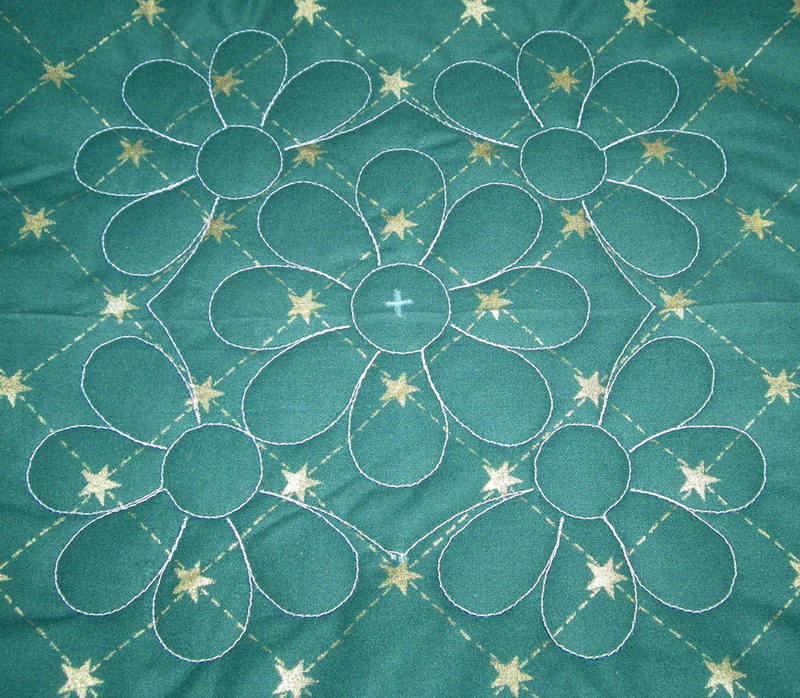 Maybe one or two more days practicing and then it's time to load the Hunter's Star Quilt for quilting. The next test I want to do is whip up a larger pink white checker-block square to see what the white on white quilting will look like, Hopefully, I'll have that for you tomorrow.